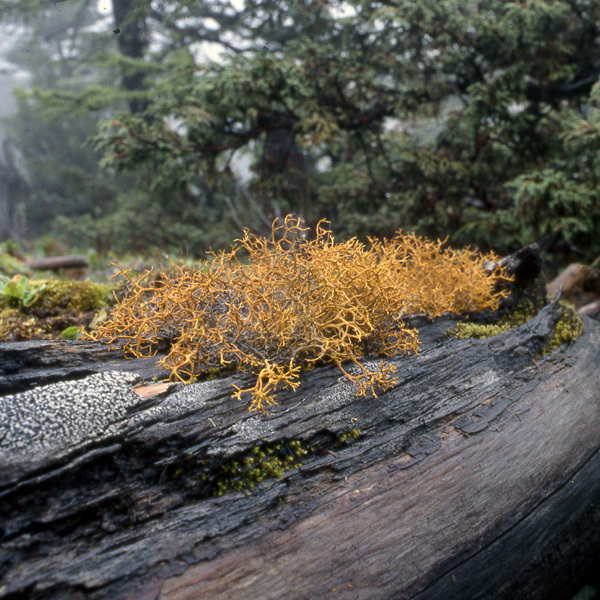 This lichen usually grows on conifers and is locally abundant on high mountains in north-western Yunnan, China. It is used for a health-promoting tea in Yunnan. Photo by H. Harada; 3850 m elev. on Mt. Bai-ma-shue-shan, north-western Yunnan, 12 Sept. 2003.